Jean's passion is teaching. Originally from Rwanda, Jean came to the United States in October 2017. When he lived in Rwanda, Jean taught sixth grade social studies and English for seven years, and he even earned a national award for teaching. He had a bachelor's degree in education, and he was also certified to teach children with disabilities. 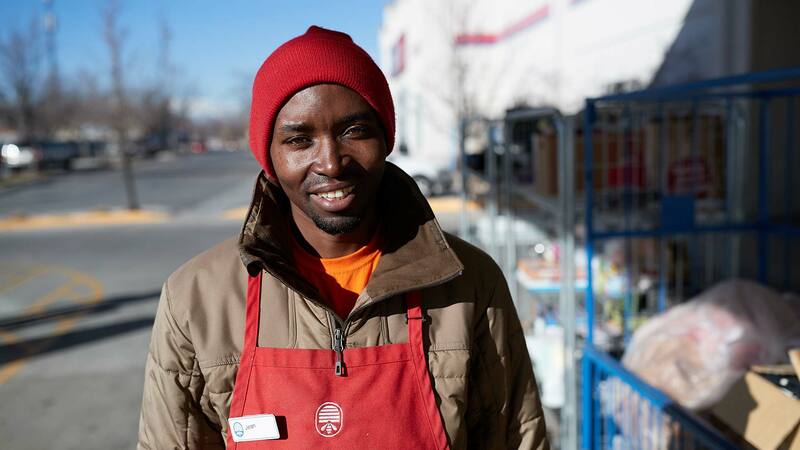 When Jean came to the United States, finding a job was difficult for him, but he found a new opportunity at Deseret Industries. He enjoys working on the donation dock and helping the people who bring donations. In the future, he'd like to teach again. His hope is to support his family and the friends he left in Africa. "My wish is to continue to study to help my family's well-being," Jean says.